A chart showing all Pokémon that can hatch from Rare (Yellow) Raid Eggs. These Pokémon are all Level / Tier 3 Raid and Level 4 Raid Bosses and most of them are not soloable , even for 30+ level Trainers. At least 3 Trainers are required to take them down. Note: many trainer call these eggs Yellow Eggs, due to their shell color, but their official name is Rare Raid Egg. All of the Rare Raid Bosses have increased HP, damage and CP. At bare minimum, you should dodge Charged Attacks. You should dodge all attacks if you are in a low population group. Use Type Effectiveness to counter the bosses and have respect for every boss, especially for Ninetails. 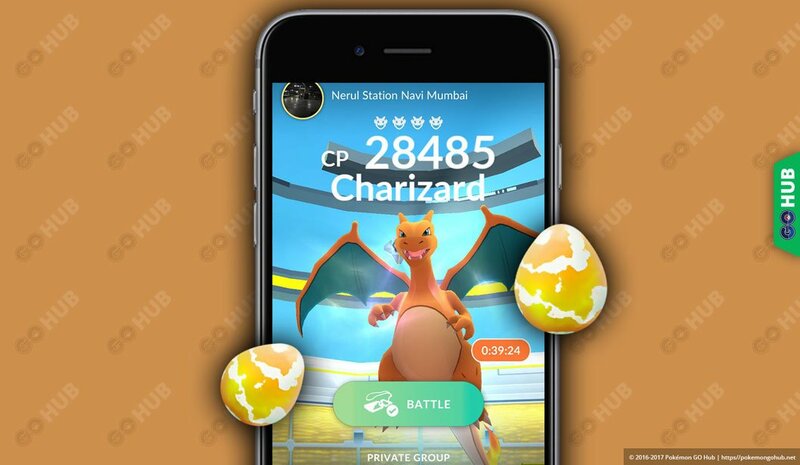 Can I solo a Rare Yellow Raid Egg? Some yes, some one. Tier 4 bosses are so overpowered that its required to raid with at least 2 Trainers (more is recommended) to get them down with relative ease. Raiding Rare Eggs is not a joke! Can I re-enter the fight if I lose? Yes, you can, but only inside the 180 seconds of fighting time! Not only that, the Boss will stay at the same amount of HP he had when you lost, so chipping away at a Raid Boss is possible, but hard. How hard is it to catch Rare Bosses after defeating them? Everything we know about Premier Balls suggest they are just recolored Poké Balls. In other words, you’d have to be extremely lucky to catch one of the Raid Bosses without using Berries, curve throws and great throws.